It's quite hard for footballplayer Mario Balotelli to go unnoticed not only when it comes to his continuos childish actions, but also when it comes to cars. 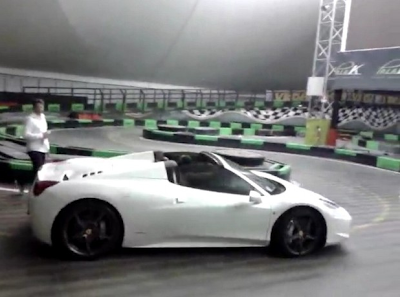 When he was playing for Manchester City he crashed his matte black Audi R8 V10, then he bought a quite weird Bentley Continental GT with a matte camouflaged wrap, now he's back to Italy and decided to drive his brand new Ferrari 458 Spider... in a go-kart track! 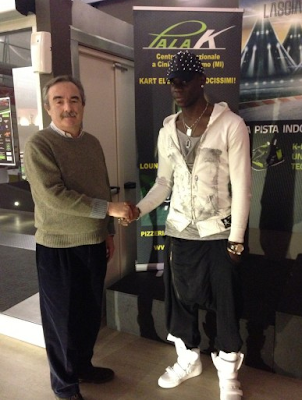 His contract with Milan football club doesn't allows him to drive a go-kart, so he decided to use his 458! 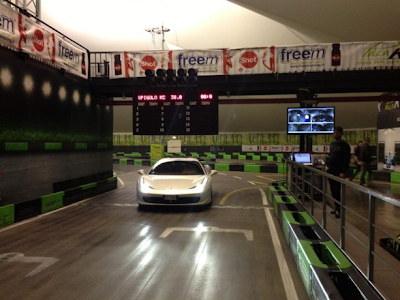 Monza is not so far from Milan, how about driving it in a proper place.. uh?